The Inspector General of Police Intelligence Response Team (IRT), has arrested an alleged most wanted criminal, Usman Fashola, famously known as Awolowo. Fashola, 31, reportedly formed a dangerous gang while in prison custody. He was said to be responsible for several armed robbery incidents in Lagos and neighbouring states. He was paraded on Tuesday alongside two others, Opeyemi Oni, 28 and Oyeniyi Olaotan, 26 by the Lagos State Police Commissioner, Imohimi Edgal. 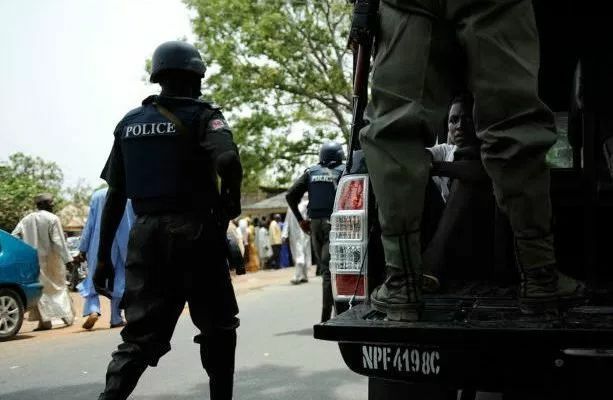 Edgal said the gang specialised in robbing motorist and passengers of their belongings, adding that they also engaged in house-to-house robbery. Fashola, who admitted to the crimes, told journalists that he had repented and was about disposing his weapons before nemesis caught up with him. His words, “I was a notorious criminal. I will not deny it but I have repented. I have even robbed in front of Alakara Police Station where my boy shot someone. “I am a strong man. I have been to prison three times. I was released from prison through the help of my aunty. After my last release, my wife reported me to my mother. My mother who was furious, removed her clothes and placed a curse on me.